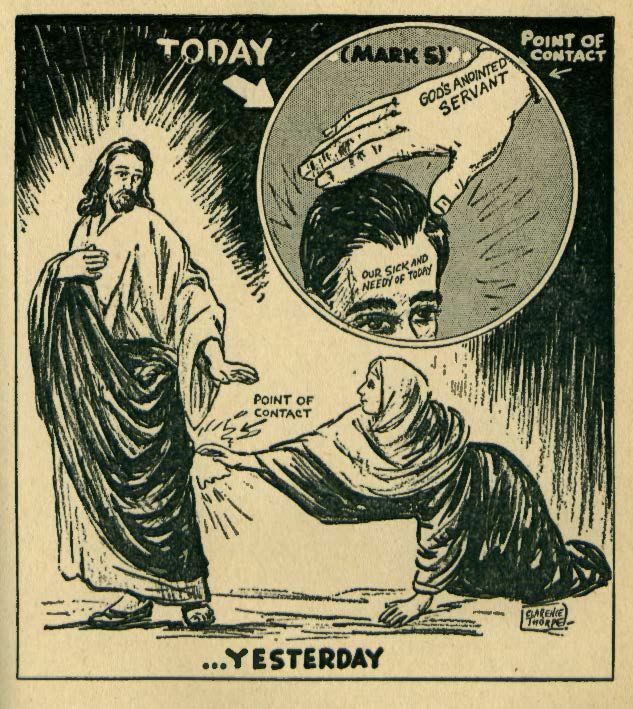 One of the most important biblical references in the history of charismatic faith healing, the story of the woman with an “issue of blood” (Mark 5: 25-34), is often recounted to help explain the communication of curative efficacy from patient to healer. In this classic account of contagion, a woman with a seemingly incurable discharge of blood boldly makes her way through the dense throng following Jesus, reaching out her expectant hand to touch Jesus, the healer. Immediately upon contact with the “hem of his garment,” a healing virtue, or power, is communicated into the woman’s body. 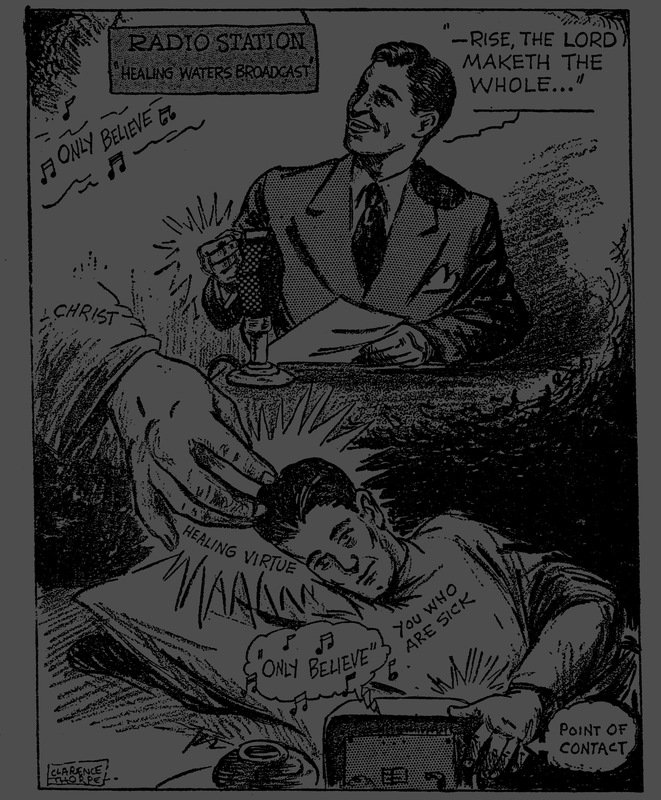 Both patient and healer simultaneously register this tactile contact: as the woman experiences a newfound sensation of somatic wellbeing, Jesus feels power leaving his body (see the above illustration from Oral Roberts’ famous 1950 treatise, If You Need Healing Do These Things). 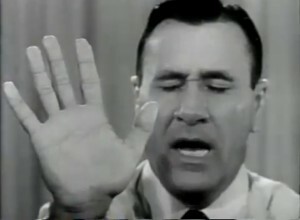 Given the significant place that this account holds in the theology and technique of charismatic faith healing, I would like to briefly explore this question: If the woman with an “issue” were to seek healing in the late modern context, how would she negotiate her way through the crowd to make contact with the healer?